Ajwain Pachak from Patanjali is not only beneficial in controlling indigestion but also increases appetite and helps in diseases like stomach swelling and acidity. With ajwain or carom seeds as its main ingredient, Ajwain pachak is one of the effective ways to control indigestion and gastric problems. It is highly effective in strengthening the digestive system. Direction of Use: Take 3-5gm of Ajwain Pachak daily or as directed by physician. 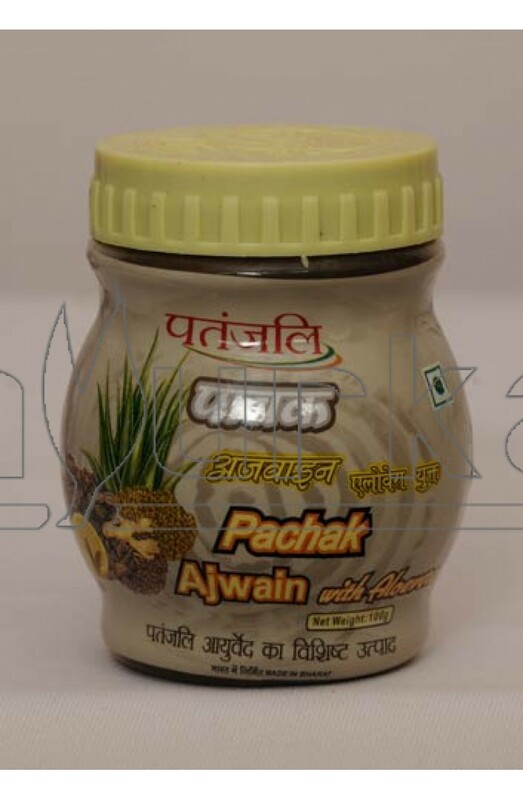 Packing: Ajwain Pachak from Patanjali is available in packing of 100 grams.